Gov. 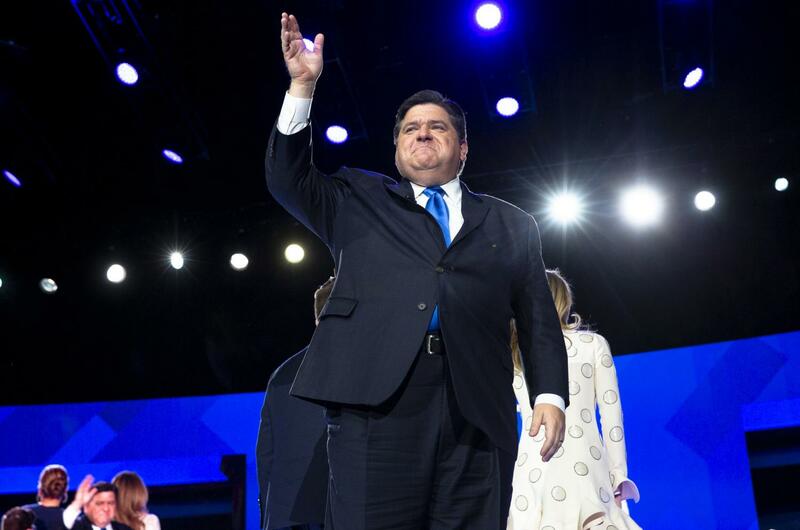 J.B. Pritzker acknowledges the crowd after being sworn in as the state's 43rd governor during the Illinois inaugural ceremony Monday, Jan. 14, 2019 in Springfield, Illinois. One of the first progressive policy items Pritzker pushed on the campaign trail was the institution of a graduated income tax through a constitutional amendment, which would replace the current tax rate of 4.95 percent. This would minimize the tax burden of the state’s most financially vulnerable citizens while generating additional tax revenue through flat increased rates on households with higher earnings. By taxing based on ability to pay, the Center for Tax and Budget Accountability estimates that the progressive tax system could reduce the tax burden of up to 94 percent of citizens. A progressive graduated income tax would finally allow Illinois to join the 34 other states that have already implemented the system. An additional avenue of tax that Pritzker has eyed for some time has been the growing demand for the legalization of marijuana. To a lesser extent, the legalization of gambling in Illinois has been mentioned as well. The idea of legalizing both is that they would be “sin taxed.” Since sin taxed items possess historically inelastic demand (meaning there is no decrease in demand with an increase in price), Illinois could raise immense revenue from high sin taxes with stealing business away from neighboring legal gambling states and the drug trade. 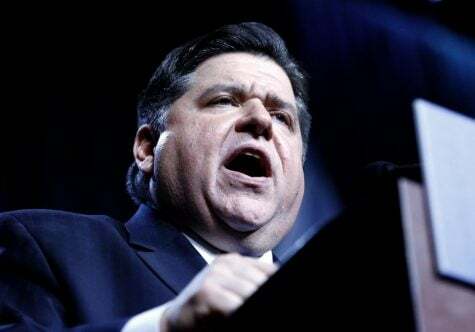 On Nov. 6, 2018, Illinois Democratic gubernatorial candidate J.B. Pritzker speaks after he is elected over Republican incumbent Bruce Rauner. Another topic the governor touted while campaigning was a $15 minimum wage. Workers with minimum wage jobs will receive an increase of $6.75 per hour, and a $3 per hour increase for the city of Chicago. As businesses will be forced to offset the additional labor cost through layoffs and reduced hours, the minimum wage increase may cause the unforeseen side effect of greater unemployment. It’s still unclear if the economic growth will offset the predictable trend of increased unemployment and will not know the exact results until policy is enacted. Additionally, new changes to the tax system have investors and developers worried that any new business ventures could be rendered less profitable by the new governor’s policies. On union’s and workers’ rights, organized labor leaders have found faith in the new regime. “I think unions feel they have a governor who respects workers’ right to unionize and improve their lot,” said president of Service Employees International Union, Tom Balanoff. Especially in Illinois, constituents must tread lightly with politicians in strong support of unions. After all, it was legislators in the 1970 constitutional convention who stipulated that “the benefits of [pensions] shall not be diminished or impaired,” which unassumingly launched Illinois into a 50-year struggle to pay out pension obligations that were not adequately funded. Another giant sector of the Illinois economy the governor hopes to upend is healthcare. Pritzker has proposed an expansion of Medicaid entitled IllinoisCares which would open up the state-run Medicaid system to any Illinois citizen. IllinoisCares would give Illinoisans the option of buying into Medicaid at a low-cost alternative to private health insurance. The governor’s office has not released any specifics on how the system would define eligibility to enroll in the program or what health services the generic plans would cover. Nevertheless, as more healthy individuals buy into government-provided healthcare programs, cost declines and the programs can better serve those who actively need more advanced care. All in all, I am hopeful for the future of Illinois in the hands of our new governor. I am in support of his progressive tax policy, the legalization of marijuana and gambling, and his IllinoisCares plan. While I am still uncertain of the ramifications of a $15 minimum wage and increased supports for unions, Illinois seems to be on the right track, inching ever closer to fiscal solvency.